Well, there’s a very efficient method for achieving all of this while getting all your potential clients to know your business and be interested in it at the same time: Internet advertising. 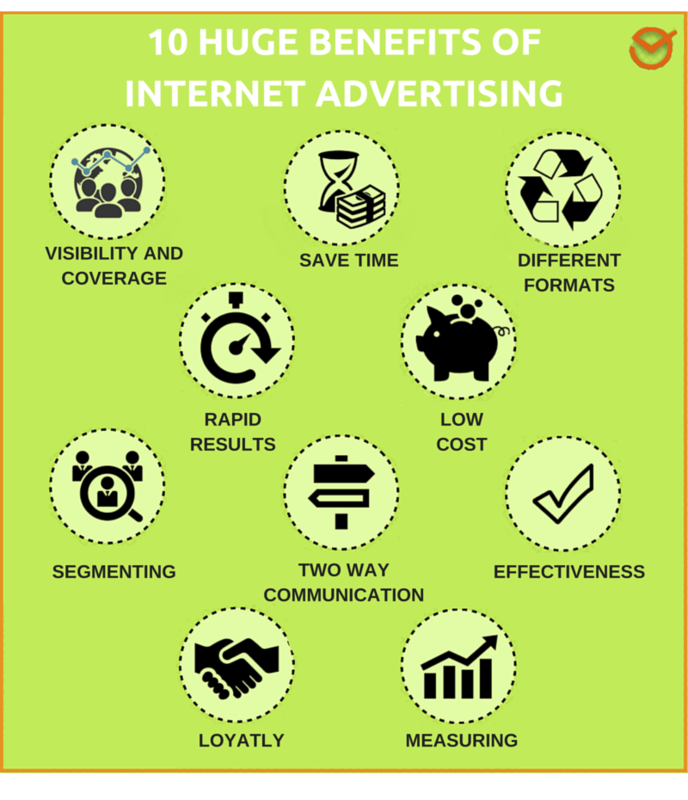 Unlike traditional advertising, Internet advertising is increasingly more accessible for every business and enables you to quickly, easily, efficiently and affordably reach your target public. That’s why it’s gaining more ground among those businesses with an online presence. So, while having a blog is fundamental, having a presence on social networks is indispensable and having a online marketing strategy is necessary. The reality is that Internet advertising is also essential and is becoming a more habitual and necessary practice. It’s not only this, but you need to know why Internet advertising is so important, what types of advertisements there are and what tips to follow to attain the best results. And this is exactly what we’re going to show you. Ready?? What’s the biggest benefit to advertising on the Internet? Imagine that you have an attractive storefront on one of the best streets in the world, open 24 hours a day, 365 days a year. This is more or less what happens when you invest in Internet advertising: you automatically become visible to thousands of people who have been looking for you their entire lives and didn’t even know you existed! Moreover, betting on online advertising is very important for both large and small businesses alike, since with just a few bucks you’ll be able to get better visibility, which will most certainly translate into an increase in traffic towards your website and a boost in online sales. To sum it up, a paid Internet advertising campaign that is designed and executed well can make your success multiply. But this is something more and more people are becoming aware of; maybe that’s why Internet advertising moves million and millions of dollars around the world every year. In fact, next to content marketing and video marketing, online advertising is one of the largest growing areas on the Internet. This is partly due to the fact that online advertising is very attractive and additionally enables better segmentation of your advertisements so you can reach basically any type of audience you want. All of this can be done in an effective, simple, flexible, easily measurable and low cost manner. Furthermore, you’ll be able to see your advertisements’’ performance in real time and if they’re functioning or not. So now that you know why you should consider investing a little of your money on paid advertising. We’re even going to tell you what the best forms of Internet advertising are and which will be best to help you reach your goals; whether you looking to increase traffic to your website, gain visibility, enter new markets, improve your brand image, retain clients, increase sales, obtain a positive ROI or whatever other goals you want to accomplish. Let’s check it out! One of the most frequently used Internet advertising methods is Search Engine Marketing (SEM), and of course Google tops them all. 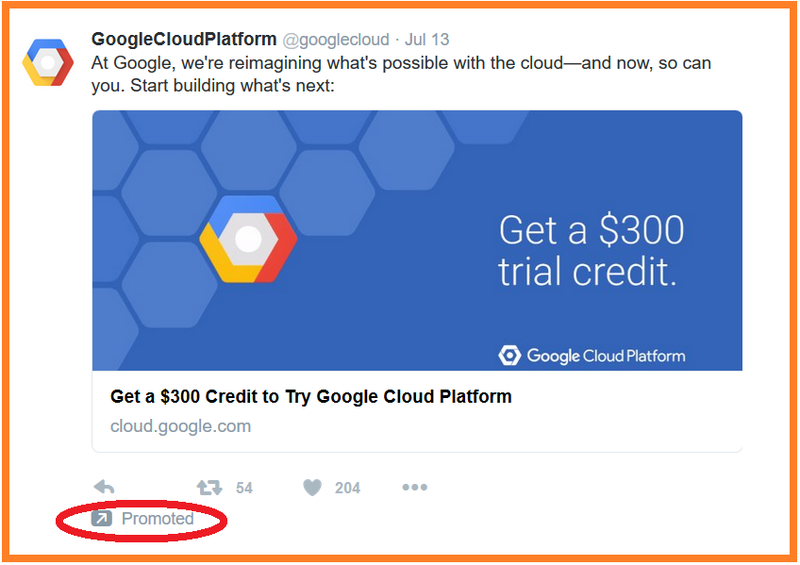 In fact, the huge technological giant has a method so you do sponsored advertising: Google AdWords. The main benefit of this type of advertisement is that they enable improving your website’s positioning through paid advertising. This way, for example though SEM techniques, you can advertise your products, services or content through Google’s advertising service, or others. 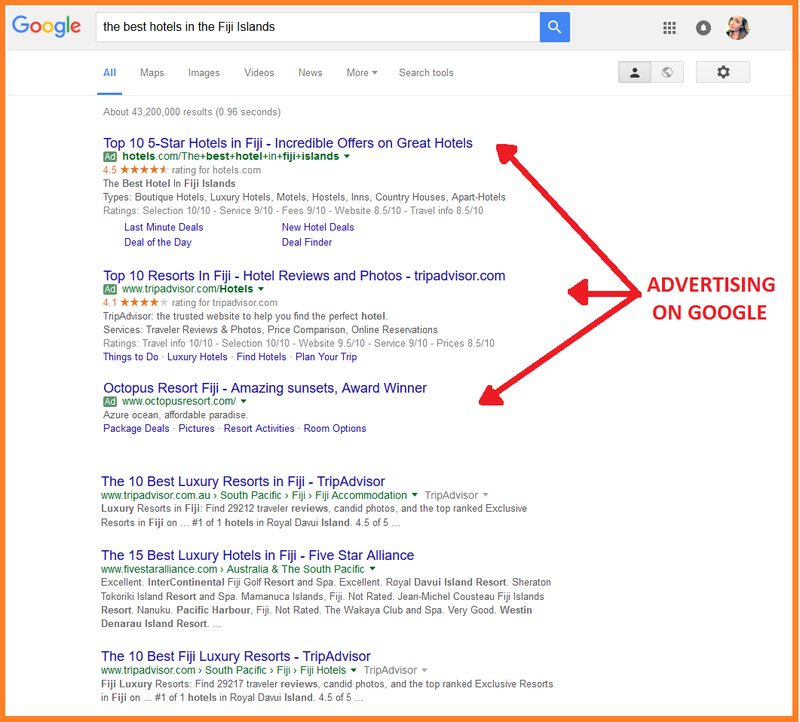 Users will find you more easily since your advertisements will be displayed in the user’s relevant search results. This type of advertising usually works by pay per click (PPC); meaning that you only pay for each click made on your advertisement, and although there are other ways, this continues to be the most used. It’s highly personalizable and you choose the max amount of clicks you want to pay for a certain word. In terms of format, only up to four lines of text is supported and is distributed in the following way: 25 characters in the title, 70 in the text and 35 for the URL. As for their use, search engine advertising is used most by advertisers whose main goal is to get web traffic and conversions, since with this type of advertisement you are reaching the users searching for your products. Furthermore, it’s one of the simplest and most efficient advertising techniques. It would be foolish to overlook the power that social networks have in helping you attain a successful business. And is not only effective within your digital marketing strategy but advertising on social networks is increasingly gaining more followers thanks to its effectiveness. In fact, the majority of social networks offer the possibility to create advertisements right on their platforms, whether it be promoting messages and content or creating specific advertisements. Facebook, Twitter, LinkedIn, Instagram and YouTube are just some of them. Furthermore, they allow you to segment your target public and with this you’ll be able to choose which group of people you’re trying to reach. 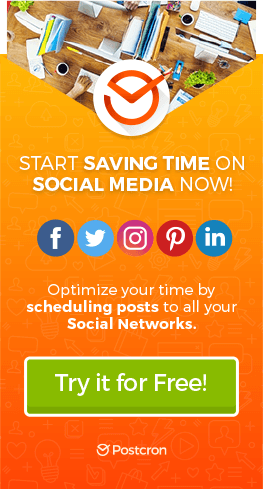 Not only with this, but with promotional messages you’ll be able to reach more people, be positioned higher and have more options for obtaining successful results. 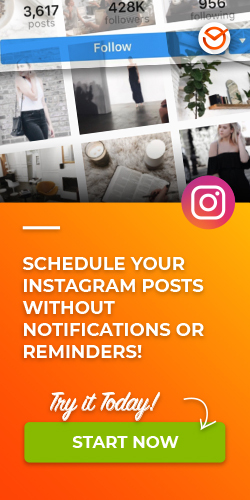 If you want to maximize your presence on social networks, being known and driving traffic towards your social profiles and website is a good option for you. Banners are, probably, the best known form of online advertising and much of this is because they were the first advertisements to appear on the Internet. They consist in strategically placing advertisements with different formats, sizes and designs within a web page. Users who click on the advertisement will be taken to the site you choose. The problem, though, is that nowadays we are so saturated with advertisements that we barely pay any attention to them, therefore, if you want to advertise online you must first consider the other options such as Google AdWords or advertising on social networks. All jokes aside: it’s no doubt that you’ve closed dozens of pop-up advertisements while using the Internet (probably a lot more than this) and this happens to be the norm with online advertising and also very annoying. These are windows that pop up and take you to a website different from what you were just looking at, and although years ago this method was quite efficient, nowadays its becoming a bigger and bigger no-no on the Internet. Now, this is not related to the ever so popular online marketing resource: inserting a pop-up on your own website which invites users to register, subscribe or simply enter their email in order to receive information which is completely free. With this we’re not referring to advertisements that appear on any blog -since this goes along with banners or Google advertisements- but rather a type of indirect advertising which is usually done through storytelling and branded content, creating an advertisement around an experience, story or reflection. This is a relatively new method and therefore many businesses are still unaware of the advantages. It consists of a type of collaborative advertising and in order to take advantage of its potential you must search for the leaders in your sector to pay them in exchange for them writing an article where they speak highly of your products or services -and when we say “pay” we’re not only talking about money but you can also offer them your products and services or other things that you both can benefit from-. If you already know which blogs are followed by your target public, then this is a very good option to get discovered and get some traffic. This is without a doubt one of the advertising strategies on the Internet that has gained more popularity in the past years since practically the entire world has a smartphone or other type of mobile device they regularly connect with. This causes more and more companies to opt to adapt their advertisements to the fastest growing medium. And contrary to what happened long ago when the majority of mobile advertisements were just simple adaptations of computer advertisements, now advertisements are more intended to be viewed from a smartphone without being bothersome; whether they be text, video or images. They can be on both social networks as well as Google AdWords, banners or other forms of advertising. Thus, you should keep in mind that users don’t use smartphones and computers in the same way so chose a responsive design, adapt the design and make sure that your page is adapted to be seen on a mobile phone. 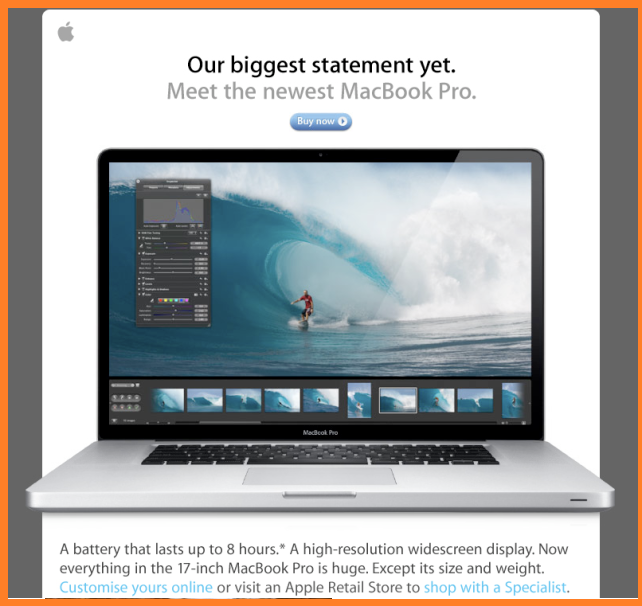 And above all, make sure that the loading time is not too long, calls to action stand out and that buttons are visible. For many years this form of advertising has dominated the Internet and is no annoying, intrusive and ineffective: mass email advertisements. In fact, we receive sooooo many email per day that we’ve become kind of immune to the advertising and don’t need more than two seconds to send it straight to the Spam folder. E-mail marketing has nothing to do with this but rather goes much further and can be considered a fundamental piece of your digital marketing strategy. E-mail marketing would cover an entire article (probably more) but for this, were talking about advertising and are referring to camouflaging promotions and advertisements within every day, friendly and valuable messages that the user won’t want to delete. It’s a tolerable and friendly form of advertising, and you should definitely use it but consider it as part of your digital marketing strategy not as a form of advertising. We consume more and more video content, and this makes video advertising the king of kings. 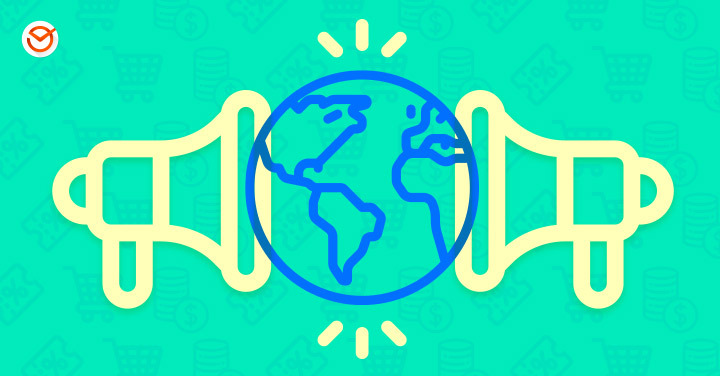 Viral videos are growing and there are even social networks solely designated to videos such as YouTube or Vine. In fact, these platforms can become an excellent pace for advertising your product and service. By using YouTube, Dailymotion, Vimeo and Vine video advertisements, they’ll be shown to the user before the video even starts to play; they can even be placed on website and search results. Furthermore, this form of advertising also includes banners and advertisements that can be inserted as a video on a website; it shown to attract double the amount of users than plain text or images. This is a good option to keep in mind and in addition is an economical option that’s easy to configure. 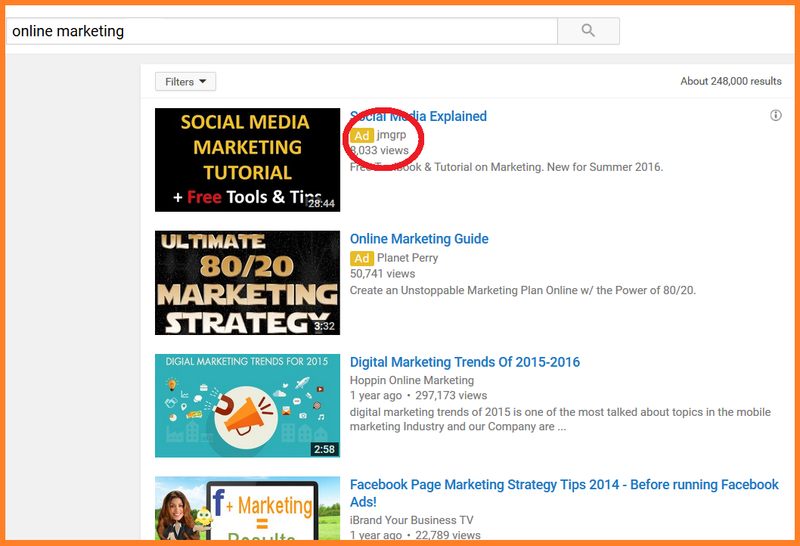 For example, if we search for “online marketing” on YouTube the first result that appears is an advertisement. Remarketing is one of the best Internet advertising techniques for both small and large advertisers. It’s not just a form of advertising but is rather a very good feature that allows you to create personalized advertisements that will be shown to users who have previously visited your website but didn’t complete any conversion. This solution is found within Google AdWords, the online advertising giant, and is mainly focused on Return on Investment. Therefore, it’s an option you should consider if a lot of users are leaving your site without buying anything. Be careful because poorly utilizing remarketing can seem aggressive, but with a good configuration it won’t be negative at all: it can be very useful and profitable for your business. 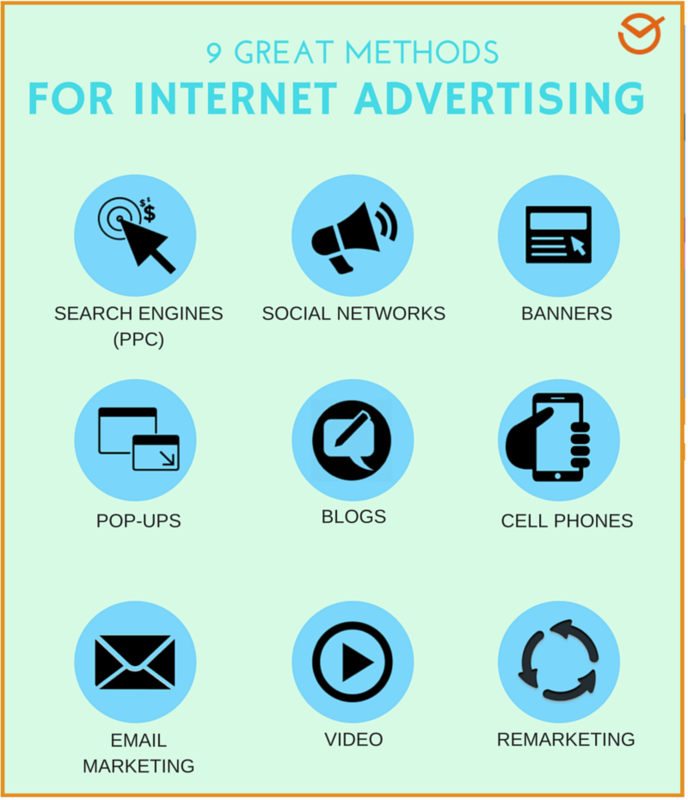 Even though these are the main forms of Internet advertising, there are still other and you can even mix them together and opt for an online advertising strategy that includes various types of advertisements. So, being what it is, it is important that you have some clear advice before starting to advertise on the vast Internet. Below we’re giving you 10 tips that you are or should be keeping in mind when advertising online. 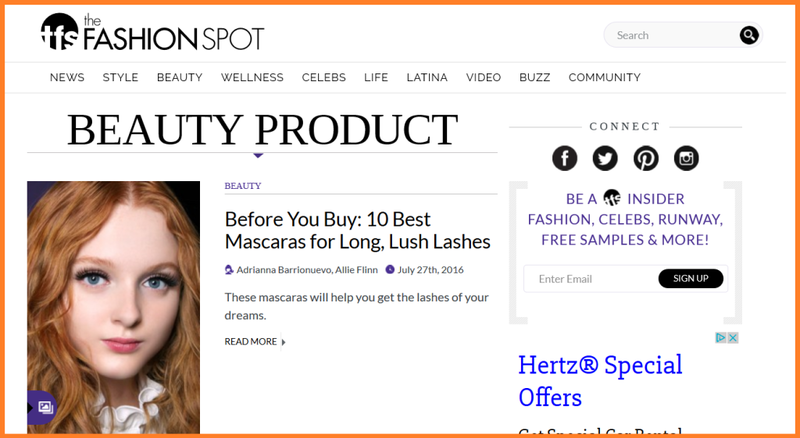 It doesn’t really matter what type of advertisement you publish: absolutely all of them have a mission of getting people to click on them and direct said people to the page you’ve chosen. That’s why you should make sure to have a good website, it loads quickly, has a good design and a good user experience is guaranteed. Take the necessary time to define what information the user will see when they arrive at the page and make sure it’s useful and attractive so it’ll generate conversions. You can have the best advertisement in the whole universe, but if you’re confusing people it won’t do you any good. So investigate your market, define your target public, segment them and make it really clear who you are targeting in order to be able to design advertisements that make an impact. Think about where your potential clients could be and once you know choose the type of advertisement which best suits them. Is your audience on Facebook? 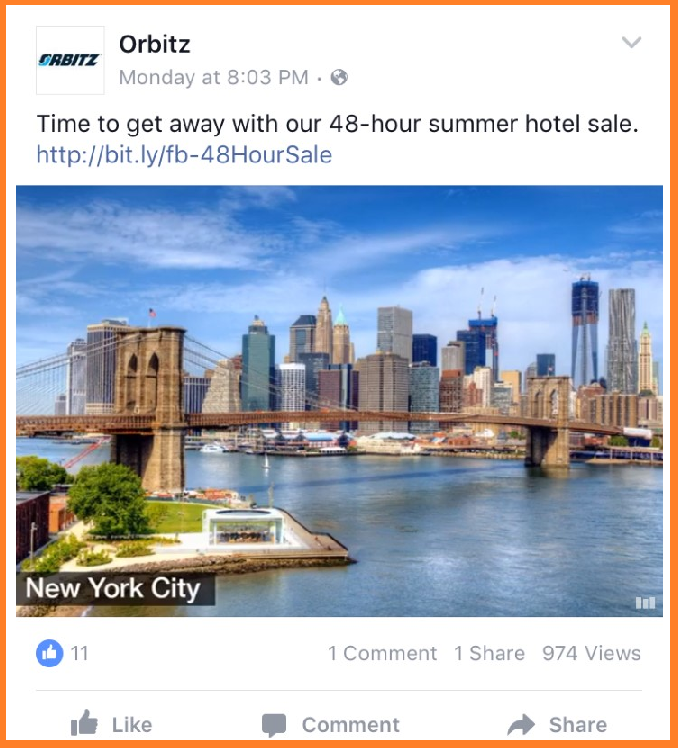 Then opt for campaigns on Facebook Ads. Do you potential clients watch videos? Maximize your campaigns on YouTube. Defining what you want to accomplish with your online advertisements is very important in order to be able to create effective advertisements. Therefore, decide if you want to get more traffic, more leads, more sales, improve your brand image or whatever you’d like to accomplish and then focus your advertisements on these goals. Remember that you have very little space to use for what you want to transmit and how you want to do it. So think long and hard about the words you’ll use, what visual elements you’ll emphasize and what calls to actions you’ll maximize. The amount of time you invest on designing your advertisement can multiply and even triple your results; don’t take this task lightly. Unlike what occurs in content marketing, with Internet advertising you don’t have all that space to try and convince your audience that you’re the best option. Therefore, don’t use 10 words when you can just say it in three. Online advertising gives off a sense of urgency and this include your ability to be concise and only highlight what’s important. Think about why your audience should click on your advertisement and it’ll be much easier go forward. In order for your audience to perform a determined action you must tell them. And this is where call-to-action, or CTAs, come into play so always include them in your advertisements to entice your audience click. We as human beings are visual, and this inevitably means that first impressions are everything. As for online advertisements this is a very important factor, being that if your advertisement has a bad design, spelling and/or grammatical errors, images with poor resolution or inappropriate elements than you’ll be missing out on a huge opportunity to generate conversions. Your brand image is very important therefore make sure your logo is included in your advertisements, they coincide with your brand colors and are clear on what you want to transmit. It’s very important to portray a brand image that transmit confidence, optimism and responsibility. And of course you can also achieve all of this through your advertisements. If you want to know how you can add watermarks to your images and content, then this will help you. Lastly, and most importantly, measuring your advertisements’ performance in real time, analyzing your campaigns in detail to maximize what works and change what doesn’t, and above all, acting accordingly because the path of your business can be changed thanks to these metrics. Was this guide on Internet advertising useful? Are you using it within your online strategy? Are you going to start laying your stakes down on paid advertising and maximizing your campaigns? Leave us your comments! And of course, if you learned something new by reading this article then don’t hesitate in sharing it with your contacts so they too can learn more on how to maximize their business.